Edison State Community College basketball players Sarah Pothast (Wapakoneta) and Lacey Watson (Rock Island, Ill.) were named the OCCAC women’s and men’s D-II Players of the Week for the week of Jan. 7-13. Pothast played only 46 minutes in a pair of wins for the Chargers, but stuffed the stat sheet in the limited court time. She averaged 23.5 points, 6.5 rebounds, 2.0 assists and 1.5 blocks per game while shooting 77 percent (17-22) from the floor and knocking down 13-of-14 foul shots. Pothast was also very careful with the ball, committing just two turnovers total in the two conference victories. 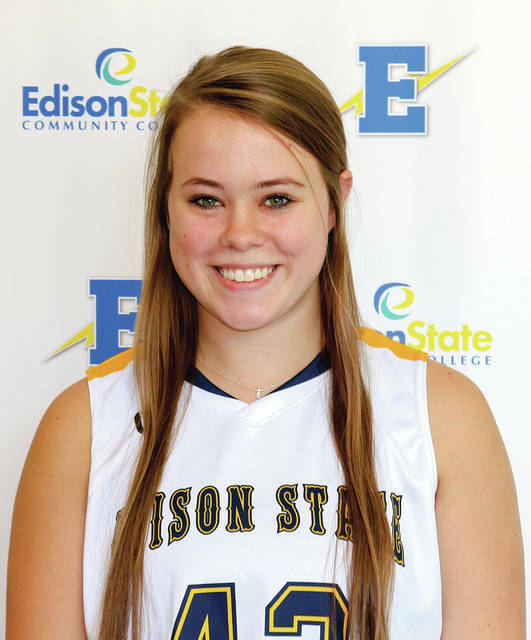 Pothast is averaging 15.6 points per game in her first season at Edison State (13-2, 3-1 OCCAC). Watson has become a familiar name in this weekly posting, picking up his third honor of 2018-19 after going back-to-back on Dec. 10 and 17. For his latest laurel, he averaged 23.5 points, 9.0 rebounds, 6.0 assists and 3.5 steals in two OCCAC wins for the Chargers. 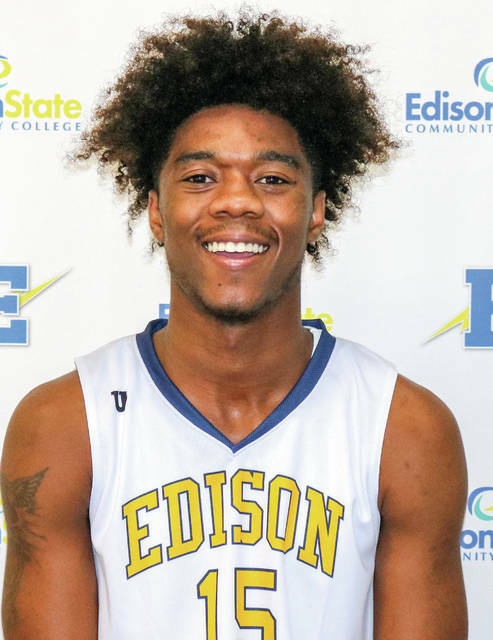 Watson recorded a triple-double (25 points, 12 rebounds, 11 assists) in Edison State’s 116-93 win over Hocking College. He converted 8-of-17 field goal attempts in both game for 20-plus points in each. He surrendered just three turnovers in 61 minutes. Watson is averaging 25.2 points, 9.2 rebounds, 3.1 assists, and 2.7 steals per game in his first season with the Chargers (13-3, 2-2 OCCAC). Edison State had 27 athletes receive All-OCCAC Academic honors for the Fall quarter. Names in all caps had 4.0 average.